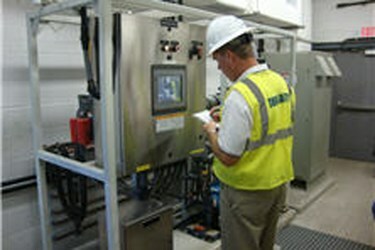 The city of Scottsdale owns and operates a 13.5 million-gallon-a-day Central Groundwater Treatment Facility (CGTF) with approximately 80,000 service connections. It was decided that disinfection methods needed to be converted from gas chlorine to a safer alternative, to eliminate transporting the compound throughout the community. The city of Scottsdale prides itself on being one of the country’s leading cities in terms of environmental conservation and stewardship, and was committed to finding a solution for water treatment that was both eco-friendly and the safest possible option for the community and its residents.